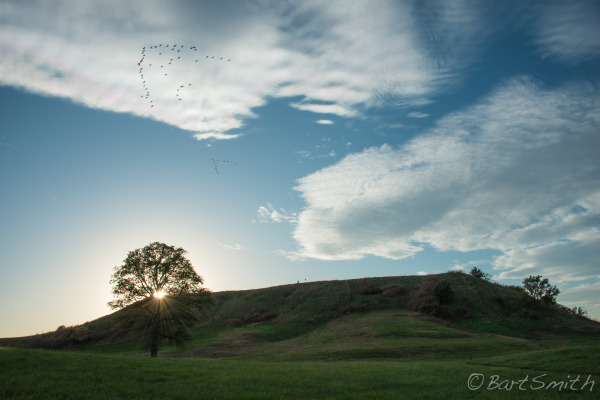 Mound 72, Cahokia Mounds State Historic Site, Illinois. Clark mentioned finding an "Indian Fortification" near Wood River. 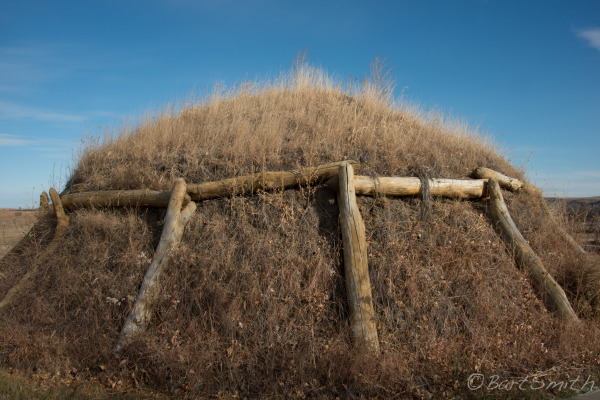 It wasn't Cahokia Mound but had he walked a few more miles south he would have encountered Cahokia Mounds. 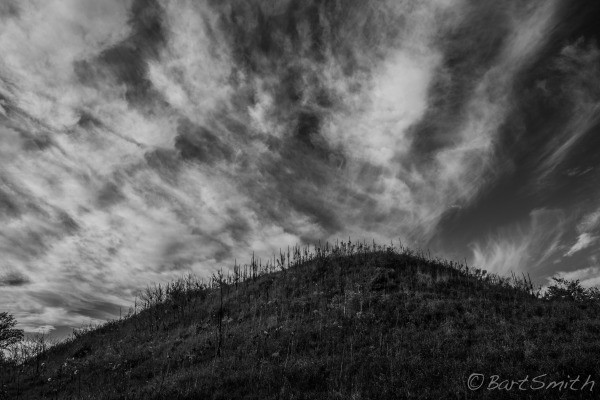 Monks Mound, Cahokia Mound State Historic Site, IL. 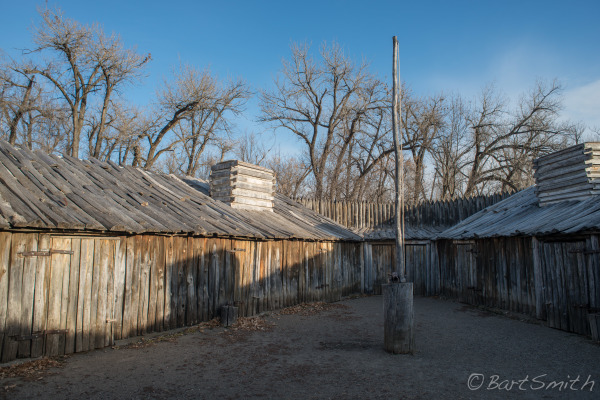 Roughly 15 miles south of Wood River, the location where the Lewis and Clark Expedition wintered and prepared for the journey to come. 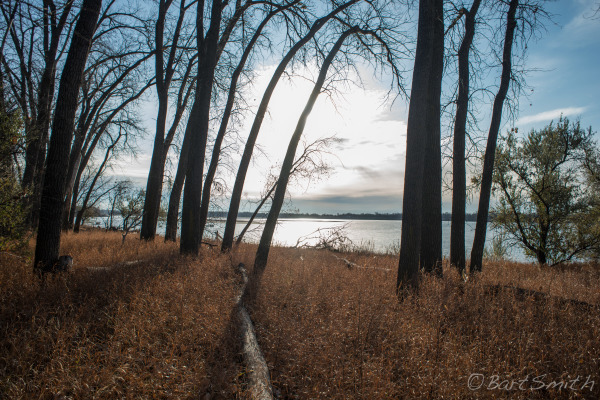 General Location where the Lewis and Clark Expedition set off from Woods River to Cross the Mississippi and navigate the Missouri River West. Lewis and Clark State Memorial Park, Illinois. Re-created winter fort at Wood River. Lewis and Clark State Historic Site, Illinois. 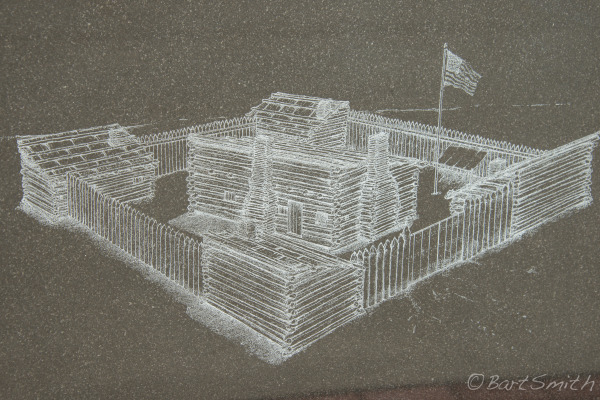 Marble etching of winter fort at Wood River. Lewis and Clark State Historic Site, Illinois. 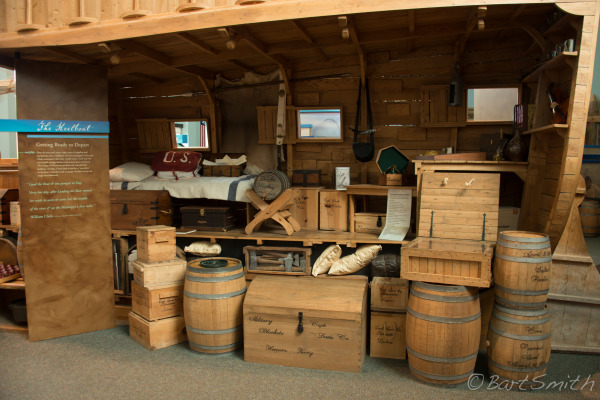 Museum exhibit of the Lewis and Clark Keelboat and it's cargo upon the start of their journey from Wood River. Lewis and Clark State Historic Site, Illinois. 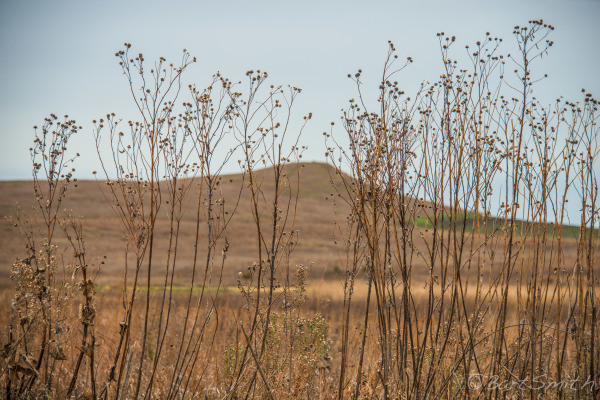 Spirit Mound, a hill on the prairie that Lewis and Clark and a few men walked several miles from the Missouri to investigate. They witnessed Buffalo herds they estimated to be 800 in number. Near Yankton, South Dakota. 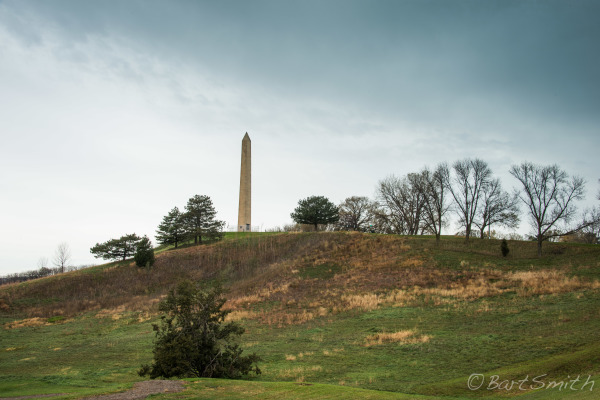 Sergeant Floyd Monument. Floyd was the only expedition fatality along the journey, likely of a burst appendix. Sioux City Iowa. 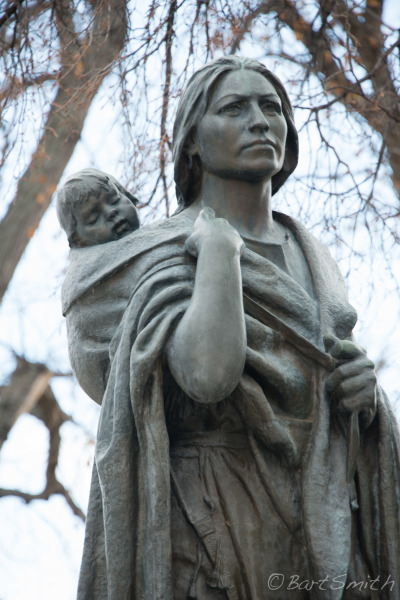 Sculpture of Sacagawea and her son Jean Babtiste, Bismarck, North Dakota. 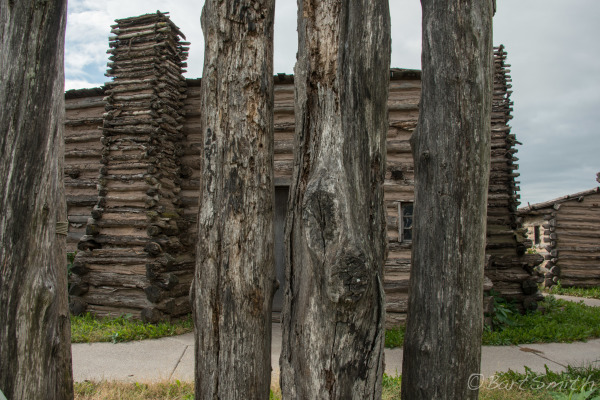 Earth Lodges at Mandan Village Historic Site of Lewis and Clark Return Expedition. Bismarck North Dakota. Interior of an Earth Lodge Knife River Villages National Historic Site, Stanton, North Dakota. 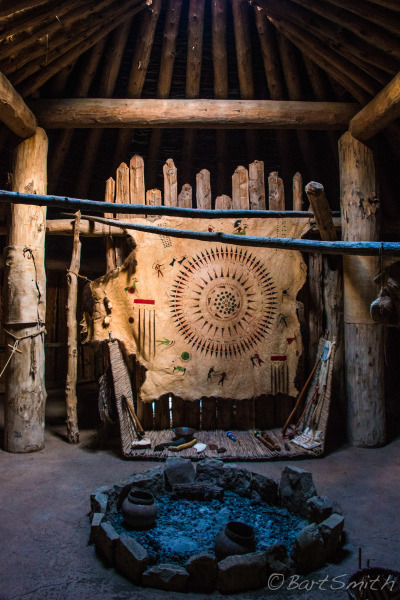 Earth Lodge, Knife RiverVillages National Historic Site, Stanton, North Dakota. 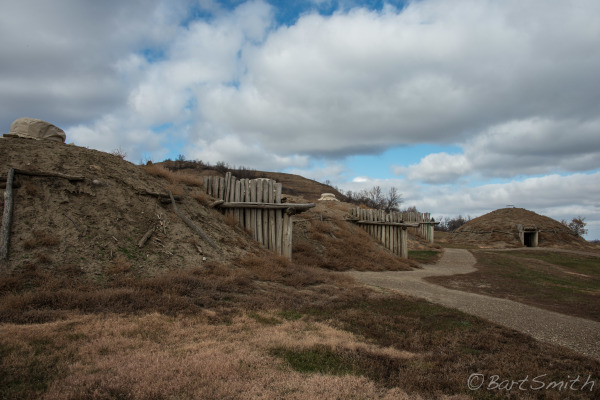 Reconstruction of Fort Mandan, the Expeditions protection from the northern plains winter of 1804-05 . Washburn, North Dakota. 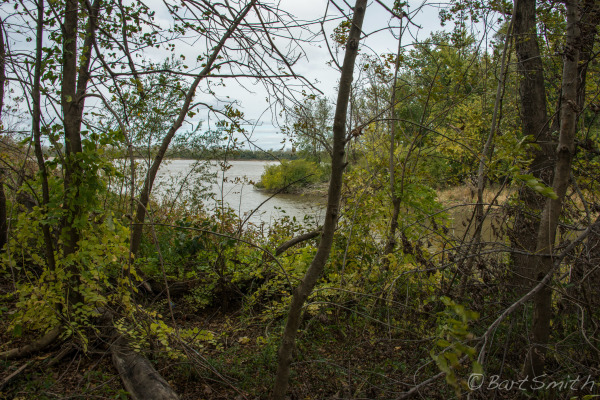 Missouri River from general location of the expeditions winter camp of 1804-05, Washburn, North Dakota. Pompeys Pillar National Monument, along the Yellowstone River, Montana. 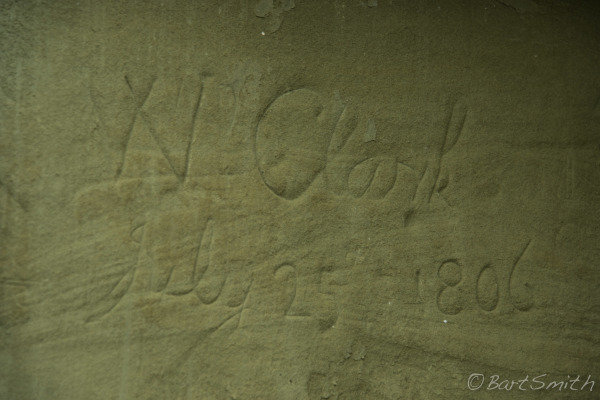 William Clarks signature carved into a sandstone bluff along the Yellowstone River, he named it Pompeys Pillar after Sacagawea's son. It is the only known physical trace of the expedition in the West. Pompeys Pillar, National Monument, Montana. Columbia River and Crown Point Vista House, OR. Gateway through the Cascade Mountains. 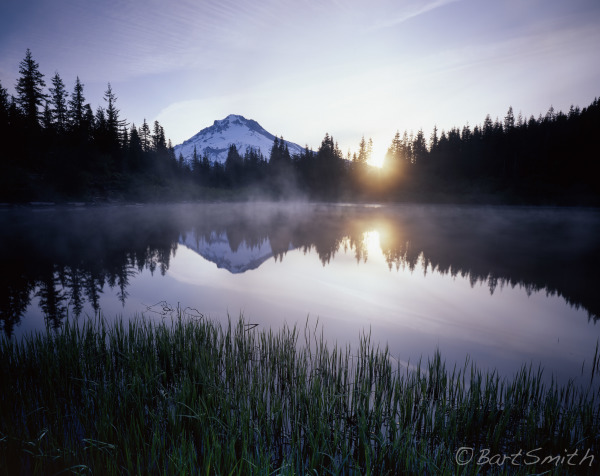 Mt Hood reflected in Mirror Lake at sunrise. The expedition viewed Mt Rainier, Mt Adams, Mt Hood and Mt Jefferson, the latter which they named after their President and #1 supporter. In 1964 Congress established the Lewis and Clark Trail Commission to "stimulate Federal, State and local agengies to identify, mark, and preserve for the public inspiration and enjoyment the route traveled by Lewis and Clark". The Commission's final report recommended establishing a private, nonprofit organization to help carry out this mission. The Lewis & Clark Heritage Foundation was formed soon after. The Lewis and Clark NHT was established, after completion of a feasibility study in 1978. Americans have always loved Mariwether Lewis and William Clark, the first European-Americans to explore much of the newly acquired Louisiana Purchase and the Pacific Northwest. Their journals documenting scientific observations, exploration, commerce and coflict have inspired generations of readers. 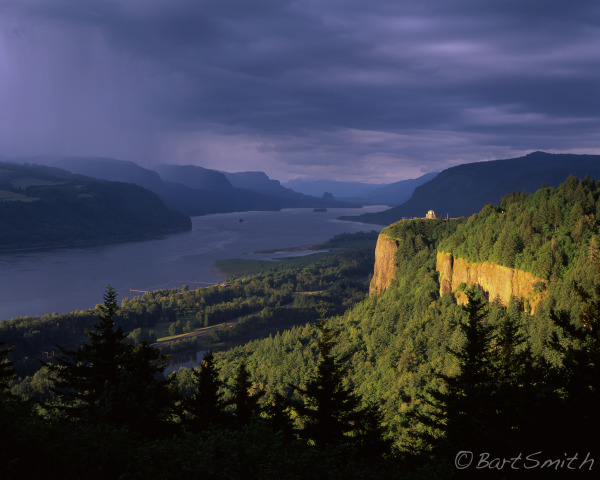 The Trail traces their journey from the western edge of U.S. territories in 1803 (now Wood River, Illinois) to the Pacific Coast at the mouth of the Columbia River and back, largely afloat on the Missouri and Columbia Rivers. President Jefferson charged them with learning about the Native American nations that they would encounter, the plant and animal life along the route, and the nature of the land for future settlement. They left as an organized military expedition, taking two years to reach the Pacific Ocean, returning once the mountain snows melted, coming back in less than nine months. Today the Trail is administered by the National Park Service with the support and assistance of several devoted organizations. 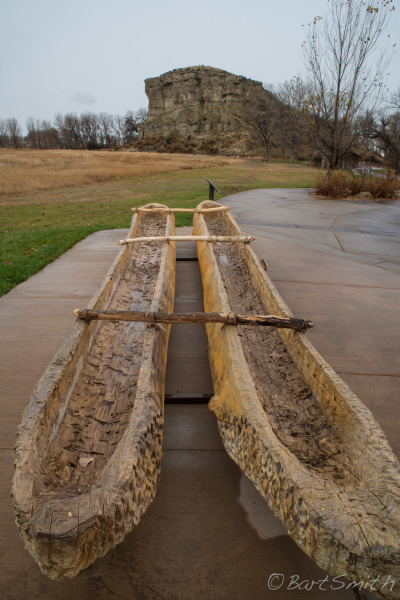 The bicentennial of the Lewis and Clark Expedition in 2003 to 2006 proved to be the single largest and most publicized event in the entire saga of the National Trails System.